April 25, 2016 By Jennifer M.
Do you love to save money? Who am I kidding? Everyone loves to save money! What would you say if I told you there is a way to save money on your purchases and being rewarded for it at the same time? Yes, there really is a way! Recently I was introduced to a great savings site that doesn’t just save me money on my purchases but rewards me for participating! If you haven’t heard of Dealspotr, now is the time to learn about this super awesome savings and rewards site. Right about now you’re probably thinking there are already a ton of savings and coupon type sites out there, so why is this one any different? I admit at first I thought the same thing, but after spending a couple weeks using the site I have decided Dealspotr is my go to site for coupon codes and discounts. Dealspotr is so much more than your average savings site posting coupons and discount deals. It is actually a social media style community that allows you to earn rewards points for sharing savings with others, interact with other users, and follow users who post deals that interest you. Dealspotr members range from the top coupon bloggers on the web to the average everyday Joe like you and me. There are so many ways to earn rewards points. 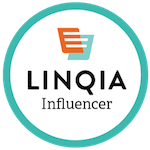 Earn by posting deals (coupon codes, printable coupons, discounts, etc), interacting with the community through comments, flagging invalid deals, spotting deals, and even through a daily bonus rewards checklist and other bonuses. You even earn additional rewards points according to how active you are in the community. How hard is it to earn gift cards? You will earn a $10 Amazon Gift Card for every 10,000 points earned. Does that seem like a lot? Really, it’s not! Each deal you post earns between 30-800 points (see FAQ link above for more info). Include the daily bonus, other bonuses, and incentives, and your points will add up quickly. There are “bonus stores” where you can earn 50%-200% additional bonus points just for posting a deal to those stores! How quickly you earn will depend on your level of commitment and interaction, but it is fairly easy to earn gift cards by posting a few deals and interacting with the community a few times a week. Yes! In fact, you can earn rewards points by referring friends. When a new member joins through your affiliate link or by using your referral code you will earn 10% of the lifetime points they earn. You referral will also receive 1,000 points free when they join to get started. Sign up for your free Dealspotr account to start earning rewards cards while saving money! I have teamed up with Dealspotr to offer an added bonus to my readers and followers. Anyone who joins through my referral link will receive 5,000 reward points to get started! That is $5 towards your first $10 Amazon Gift Card! If you would like to receive the free 5,000 bonus reward points you can sign up through this link, https://dealspotr.com/?join=jennshuey or enter the personal promo code JENNSHUEY during registration.